The Imperial County Board of Supervisors met on Nov. 20 to approve the elimination of court fees to juvenile delinquents. In addition to this action, county supervisors approved increasing the public defender fee for adults to $50 dlls. The public hearing was an item related to the Imperial County Probation Department to repeal public defender fee for juvenile representation; an increase of the fee representation of adults; repeal the fee to drug test juveniles; repeal fees to juvenile hall. California Governor Jerry Brown signed Senate Bill 190, a juvenile justice reform bill aimed to improve youth rehabilitation and increase public safety. This law was approved in 2017 and since January of this year, the county has not collected juvenile fees. Imperial County Chief Probation Officer Dan Prince said that there will be no fiscal impact to the county with the elimination of these fees. “The Department is able to make up this relatively small amount through the application of several state programs that fund juvenile prevention and intervention efforts” Price stated. The bill was that introduced by State Senators Holly Mitchell and Ricardo Lara who repealed county authority to charge administrative fees to parents and guardians for their children’s detention, legal representation, probation supervision, electronic monitoring, and drug testing in the juvenile system. According to data from the California Attorney General, the youth of color are grossly overrepresented in our juvenile system. They are punished more frequently and harshly at a variety of discretion points. They are more likely to be arrested, detained, and put on probation, and they serve longer detention and probation terms. Paying these fees amounts to several thousands of dollars to the families of these juveniles. 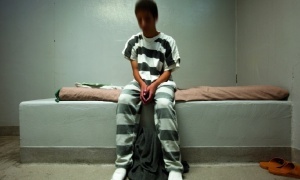 The new law extended the definition of “juveniles” from 18 up to the age of 21. SB 190 does not change the ability to charge or collect restitution on behalf of crime victims or prohibit the collection of previously assessed juvenile fees.